Welcome to A Runner’s Circle! 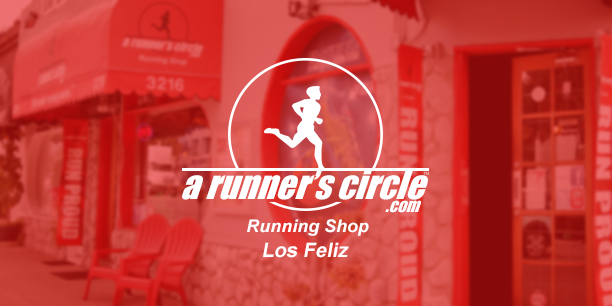 We are a specialty running shop located in Los Angeles. We carry the greatest selection of running shoes, running apparel, injury prevention devices, corrective insoles, and energy supplements. We provide shoe-fitting services and gait analysis to guide runners and walkers in finding the perfect shoe. We hold fun runs, conduct lectures, support running groups, and promote races and other running events. With over 12 years in the industry, we are known for our excellent customer service. Our friendly staff is composed of experienced runners, highly trained in gait analysis and shoe technology. We cater to minimalist and barefoot running as well, while keeping the traditional way of fitting strong. We also use the latest technology to inform our process. Whatever the case, we recommend what will best serve you! We make sure to guide you in the shoe selection process and attain correct biomechanics and proper shock absorption. We also have a certified physical therapist (available by appointment) on weekends for other conditioning and injury related concerns. Our partners include most local podiatrists, physical therapists, chiropractors and hospitals in our area. 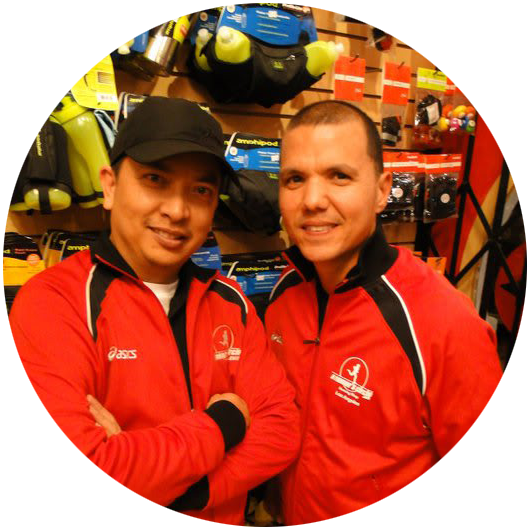 ARC was established in 2006 by Joe and Derek, long-time friends and running enthusiasts whose passion for the sport led them to put up the business of their dreams. They envisioned a full-service running store and physical therapy clinic combined. Joe’s career in the running industry and Derek’s physical therapy practice allowed them to fulfill this vision and create a service that truly supports runners in all aspects of the sport. Joe and Derek thought that they should not only sell top products; but also, truly keep runners injury-free and on top form. They also valued building a community of friends and runners who share the same passion as they have. And with all of this, they desired to be able to give back to the community in a meaningful way. Everything that ARC has achieved and does until now is a product of this vision. To date, the ARC Community has grown unbelievably and we thank each one of you for your support! We support our customers and the running community every step of the way from start to finish, whatever level they are. We try to keep them going and never let them give up. 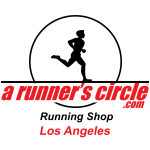 We aim to assist in optimizing their running experience through our products, services, partners, people and events. We fit people with the right running shoes and provide all other high quality running essentials. We provide educational events, shoe & running clinics, so people avoid injury and improve their form. We promote races, running events and special causes. Advertise with us! We have partners that offer complementary services for our customer’s needs—podiatrists, coaches, other health and sports professionals, and running clubs. Contact us and become a partner! We provide people events to enjoy running more whether they run by themselves, with other people, ARC Run Club, or with their dogs, ARC Woof Club. Triathletes are also included, ARC Tri Team. Join the clubs now! We support local athletes and track teams through discounts and sponsorships. We support regular runners by having a Hydration Station in the park, or providing running clubs with our expertise. We support the preservation of the environment (specifically Griffith Park, where our community runners are). We support community awareness campaigns and has sold 700 pairs of shoes. For every pair of shoes sold, we have donated $1 to AIDS Project Los Angeles. We contribute to the local running community however we can to keep the sport alive and growing.